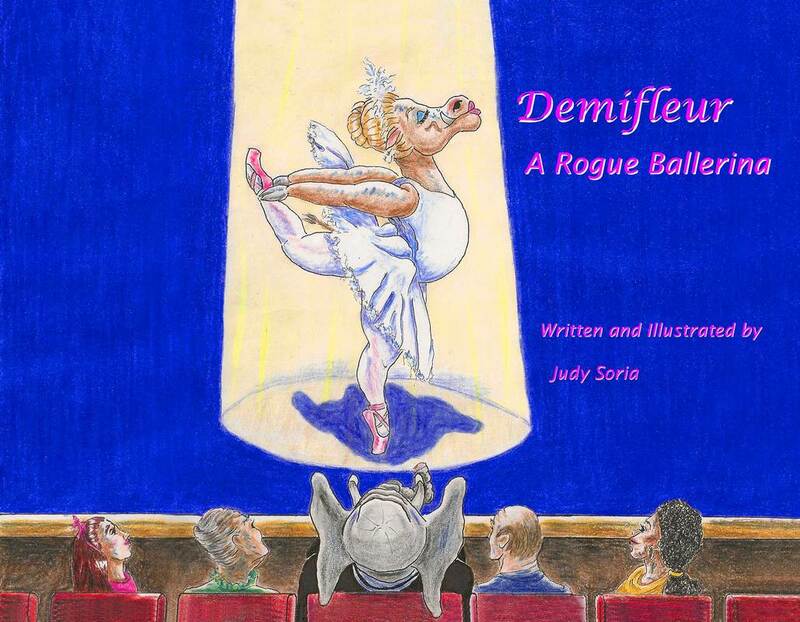 Using full-page color illustrations and bouncy rhymes, this book tells the story of Demifleur, her boyfriend Aloysius, and her love of ballet. A warthog lived named Demifleur. A gourmet and a debutante. "Exquisitely illustrated, this charming tale of a warthog's journey toward finding love of life is a delight. A glossary at the end and pronunciation guides at the bottom of the pages assist young readers, stretching their comprehension of ballet terms. Depictions of famous landmarks further enhance the educational aspect of this book. A perfect read for parents or siblings to share with their aspiring young dancers." "At a time in which celebrity children's books with hired illustrators are so ubiquitous, Demifleur: A Rogue Ballerina is indeed refreshing. It is truly original, with witty and delightful rhyming and superb illustrations. I can imagine mothers and fathers reading this book to children of various ages as there are numerous teaching moments within the story. The tale of Demifleur the warthog and Aloysius the elephant is presented to children (and adults) in a sweet, diverse, and thoughtful way. There is wide appeal to both girls and boys with a very meaningful message within about self-image and self-esteem. Well done!" "A story about everything: dreams, hope, courage, love. It has delightful rhymes, an insightful message, and lovely, colorful drawings. Fun!" "I’ve indulged my love of art, dance, and rhyme in Demifleur: A Rogue Ballerina. I had so much fun writing and drawing this book, and that, of course, is the moral of the story." Judy Soria lives in Elmhurst, Illinois, with her husband, Steven, and their dog, Oliver. She has a B.A. in English from Elmhurst College and has pursued a lifelong interest in art and dance. This is her first book. Please give us a click, or feel free to fill out the form below, and we will connect with you directly. Thank you!